As with creating and testing any new pattern, Heartland Heritage had to be made. Yay! 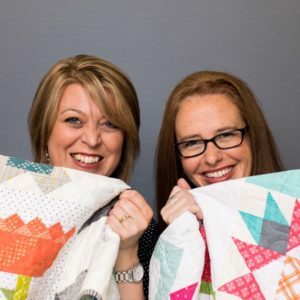 Each of us in our own sewing studios started pulling fabric to make our unique version of Heartland Heritage, and we’ve had so much fun comparing the finished results! Wow! The finished quilts are similar but different, and we cannot wait to see your Heartland Heritage quilt! Like most quilt patterns the maker is who makes the quilt special and unique, every time. 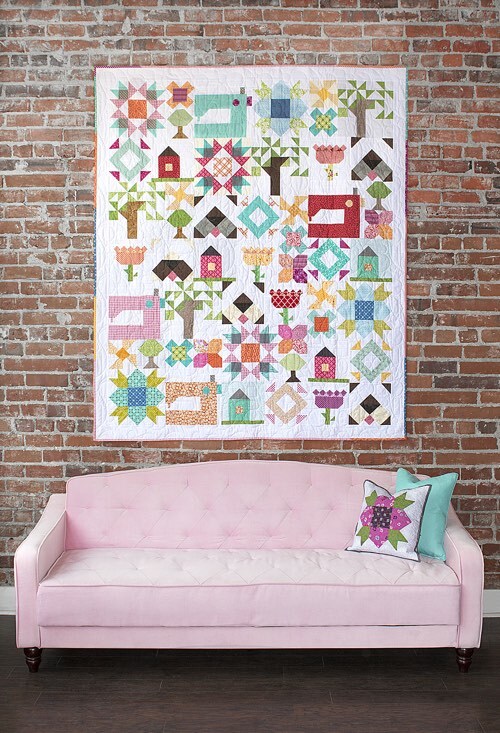 It’s one of the things we love most about quilting – handmade quilts made with love are always so special. Be sure to visit our shop, or your local quilt shop to sew your Heartland Heritage quilt with us throughout 2018. Can’t wait to get started on this one. Have also ordered my calendar. 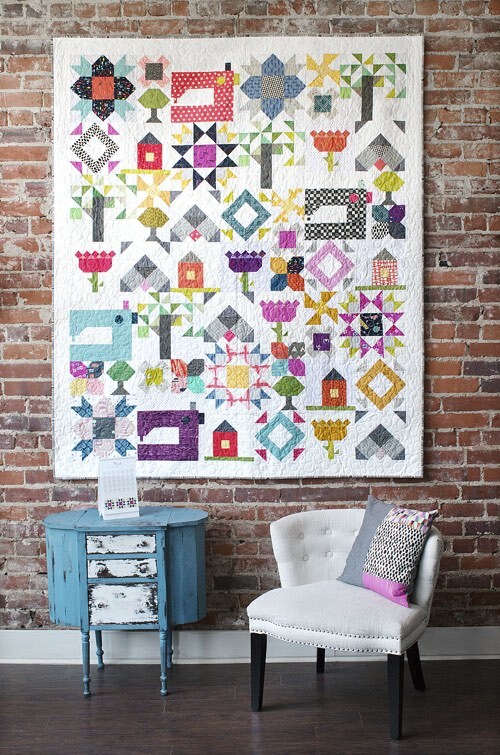 We are excited to see what fun fabrics you stitch up Anne! It is the very best BOM I have seen. I am ordering my calendar this evening! Can’t wait to start but my girls say I have to finish my Red and White quilt first! Of course, I do want it on my bed by Christmas so that is perfect for beginning this one! Thanks for being such creative designers! Thank you Mutti! Amy & I look forward to seeing what fabrics you stitch up. Where do I find the calendar?? I would love to order one for my fabulous aunt and myself!! Either way, we can’t wait to see what fabrics you stitch up! Such a sweet note Judie! We can not see what fabrics you stitch up! I’m not quite sure how I happened onto you site, but a very excited about the Heritage Quilt Calendar. I’ve never participated in a BOM because of the expense. I love scrap quilts hand have several I want to make and have me fabric scraps already sorted. Ordering the Heritage Quilt Calendar tonight. I’m very excited about this project. So happy you found us! We love using every last scrap in our stash and look forward to seeing what color combination you stitch up! You say – Each month we will share our tips for success as you stitch, be sure to check back at Inspiring-Stitches.com! – how do we sign up? I already have the calendar and looking forward to working with it. You can sign up for classes at your local shop and keep visiting us here. Each month during 2018 we will share different fabric combinations to help keep you inspired. Wow, you are fast! Our backs are very simple with nothing fancy to share. Amy’s is one fabric pieced backing and mine has an extra dog block mixed in. I will look for a picture and share on social media. A few more days! My question is: care we to have January blocks cut out before the first session? Sewn before the first session? Thank you for your note Cissy! So glad to hear you are excited to start. You are welcome to stitch ahead of us. I got myself the pattern for Christmas and already completed January blocks. My problem is that I always start a block of the month but get bored. I can’t wait to finish it! Just finished my first three blocks. Combination of a fat quarter bundle and my stash. So much fun! I’ll be ordering more fabric today! So exciting! Looking forward to seeing your fabric selection. Just arrived back from my holiday by the beach and was welcomed by your calendar I ordered before Christmas. Have started my first Wildflower block. Really excited!